Seeking Cradily + some others! Cradily is one of my favourite Pokemon, but sadly I've been very unlucky with finding merch of it. Not that there's much to find, hehe. 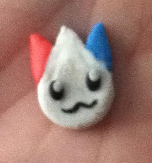 So I'm asking all of you to help me find the little bugger and it's pre-evolved form, Lileep! You can follow this link to see my full wants list! I'm always willing to trade so if there's anything you might want from my sales let me know, or just show me to your own wants list since I have a few things that are not currently up there. 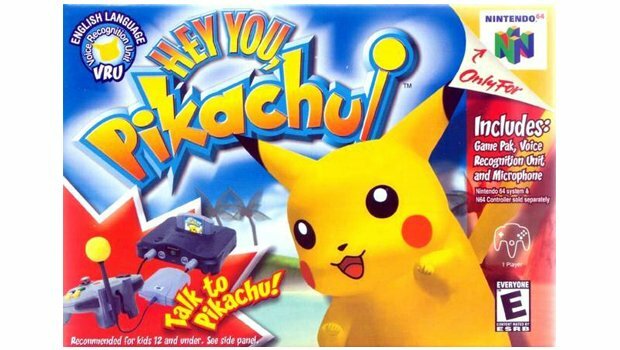 What to buy: Hey You, PIkachu! Hey You, Pikachu! N64 Cartridge & Microphone! Box not needed. Preferably with the yellow foam ball that comes attached to the microphone, but it's not totally necessary. Amarok's end of the year pickup results! Hello! I'm back from the PC with totals with shipping for everyone. Please look under the cut to confirm your total. You can send payment to me at amarok.tristalli@gmail.com, and don't forget to include your username and what the payment is for somewhere in the memo! Payment is due before next year. You can find the original post and information here. 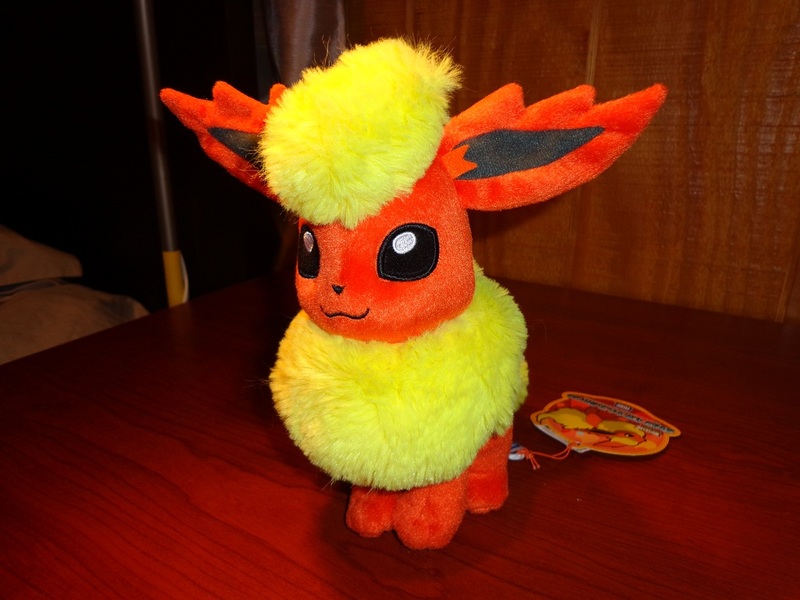 So, I got on Ebay today out of plain curiousity, and searched pokedolls, trying to find a funny and comical bootleg. What I found made me laugh pretty hard.. 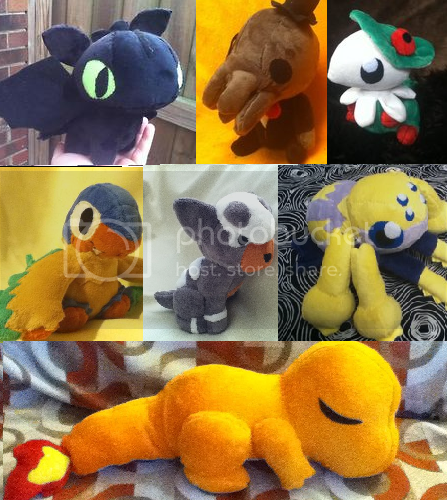 The thing I don't get: If you are trying to make a bootleg of something, why not make it from, you know, THE SAME FABRIC THAT THE LEGIT POKEDOLL IS MADE FROM? I mean, really? Hi community ! 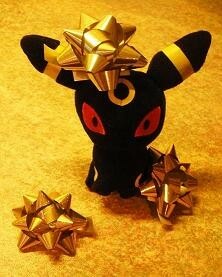 Hope you guys had an amazing Christmas ! -Don't forget to add your LJ username and what you bought in paypal note before to pay. - Payment must be made in 48 hours after the purchase. - I am not responsible for damages lost or stolen items in the mail. Thanks for watching ♥ Have great holidays ! Hi! I hope everybody's holiday was a great one! 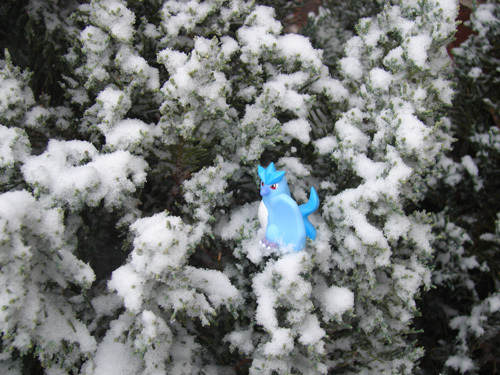 Christmas in my neck of the woods was a little more special this year than it usually is; while I didn't receive any Pokemon gifts, I did experience my first white Christmas. :D I've lived in Texas my entire life, and usually we only see winter weather once or twice a year (and some years, not at all!) so this was a wonderful surprise for me. And what better an opportunity than to take pictures with some Pokemon? Hi, comrades! Wishing you have had a happy holiday time. For me I went to Alhambra to visit a friend of my father's. We had a tasty Chinese dinner party, and went to eat roast duck yesterday. But the most thrilling thing was that when I browsed the website of Japan Video Games, I found out that they had a real store just around here! So I took my newly bus pass, rode on a bus, and made a transfer to the store. And here we are! Sorry for having to borrow the picture from Google. Last Call for commissions that will be done by the end of January! I hope everyone had a great holidays! So anyway To the sells and rules. I decided not to collect Axew anymore I have only 2 plushies of him soo it like not enough to make a collection lol. Also some cards too! 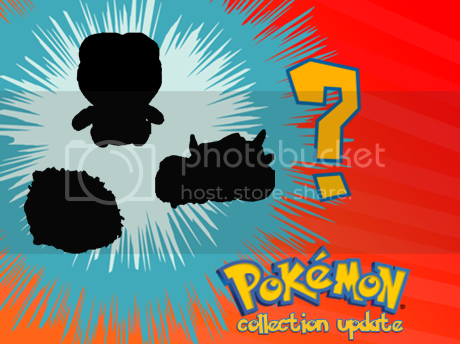 Some are rares and secret rares. So enough of my bla bla bla Now to sales and rules! I have made some comments here and about and I wanted to make a quick introduction post to get to know people in the community! 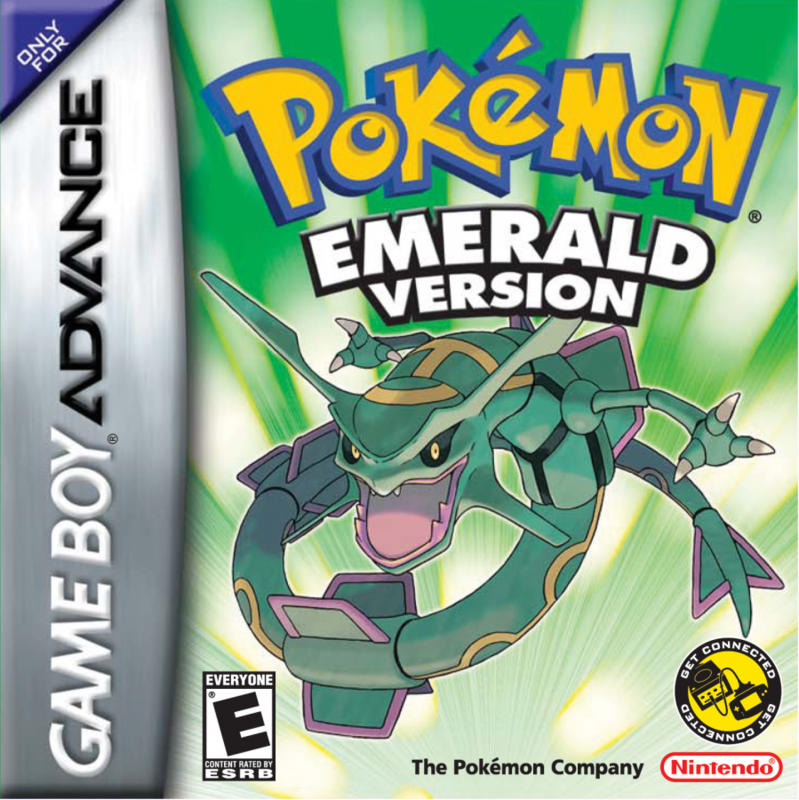 I really loved the entire Pokemon franchise (the games, plush, figures, everything!) when I was a kid and I find that Pokemon has changed and developed as I've gotten older and is still super exciting to me (not to mention SUPER cute at times n_n). I guess that means technically I've been collecting since I was a little kid, but I've probably only more recently started purchasing more Pokemon goods in the last year or so, therefore my collection is still young! My favorite Pokemon to collect, as you'll see under the cut, are Mareep and the Pikachu line. Over time I hope to perhaps be a little more involved in the community than just being a neighborhood lurker, and I'm hoping to make some new friends with people that love Pokemon too! Anyway, without further ado....please see under the cut for my collection n__n! Thank you~! Some (obligatory) christmas gets, although most of the items were just items that arrived before christmas or very near. I was going to wait to do an update until I got all of my items, but I've been sort of on a spending spree so I figure by the time I receive the rest of the stuff I'm expecting it'll be a large enough update for next time. Introduction and some festive photos! I've been a member here for a little while now - and lurking for even longer - so I thought I'd introduce myself to the community and hopefully make myself known to at least whoever reads this, so I'm including a bit of information about me, pictures of parts of my collection and a few Christmassy photos and gets!